When it comes to the master-planned community of Caliterra in Dripping Springs, TX, living an eco-friendly lifestyle is very important. To help you be at home with nature, here are the things you should avoid when living an eco-friendly lifestyle. We all know that plastic grocery bags are harmful to the environment. Some stores have even started to charge people to use the plastic bags. Instead, use reusable canvas bags! Although they may cost a little more upfront, they’re much more useful than you may think. 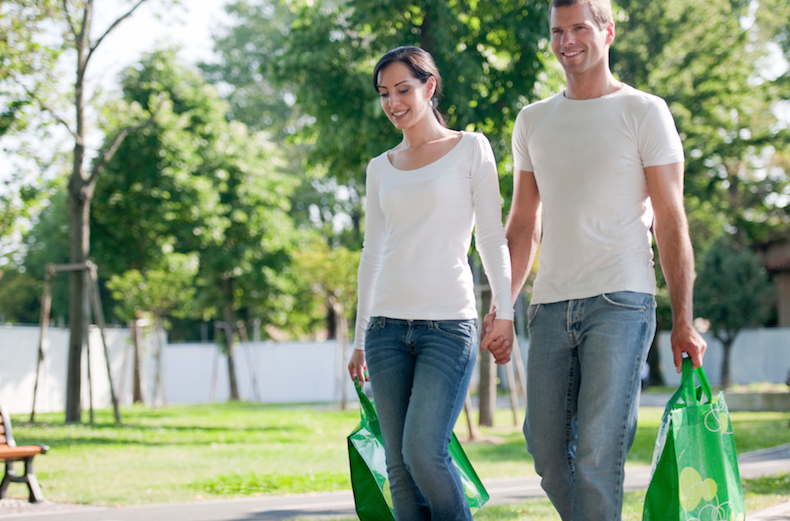 Canvas bags are sturdier and can hold more groceries than a traditional plastic bag. That means fewer trips when taking your groceries and you don’t have to worry about heavier items breaking through. If you do have plastic bags at your home, don’t throw them away. You can reuse them as trash bags for the smaller trash cans in your home. One of the biggest ways you can help to cut down on America’s plastic consumption is to stop buying bottled water. Instead, invest in a reusable water bottle. Many of them are made of glass or BPA-free plastic. If you live in an area where your tap water isn’t the tastiest, you can simply purchase a water filter for your faucet. For those who like their water to be ice cold, you can purchase a pitcher with a filter. That way you can always have cool, filtered water to pour into your reusable water bottle. While paper towels may be the first thing you reach for when you’re about to do some cleaning, think again. Instead of paper towels, use old clothes and rags. If you have a pile of old clothes that you want to throw out, cut up a few of them and use them when cleaning around the house. They will be more absorbent and won’t break apart when you have to scrub down those tough stains. Caliterra living is all about being at home with nature and leading an eco-friendly lifestyle. Visit our website today and see what the master-planned community of Caliterra in Dripping Springs, TX is all about.